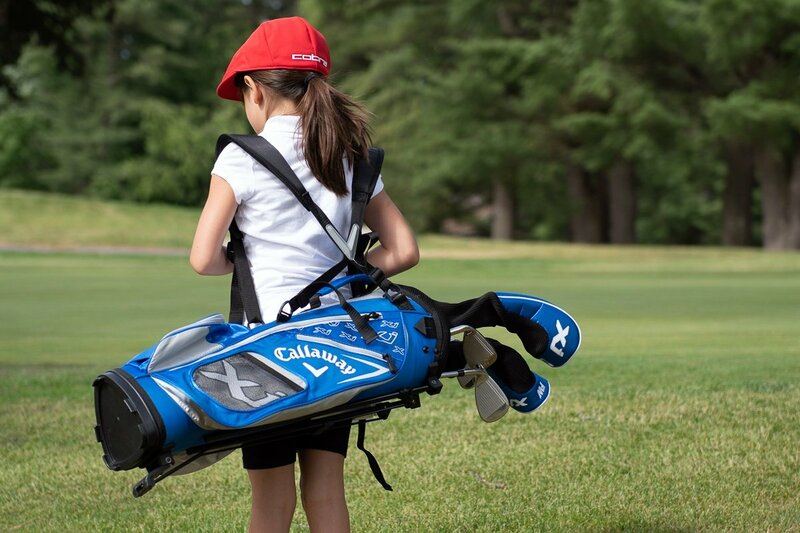 How Hard Should You Push Your Child to Play Golf? 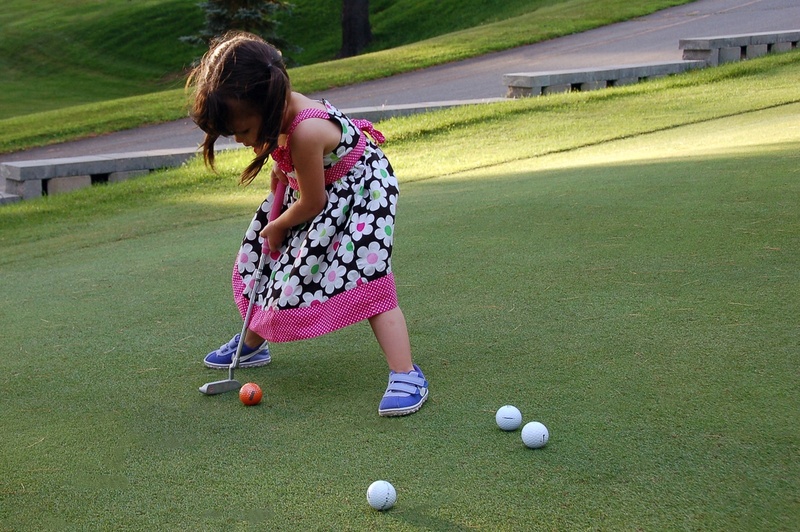 How Hard Should You Push Your Child to Play Golf? @anya__alvarez shares her thoughts and experience. When my father first introduced me to golf he had one goal in mind: He wanted to make sure it was enjoyable. To facilitate the fun, every time we went to the course or the driving range, he would set up a game or challenge. More importantly, we never kept score, and only occasionally did instruction take place. What instruction my father did provide was always useful though. As a Class A PGA pro, he has a firm understanding of the fundamentals of the game and never tried to teach me a “perfect” swing. Instead, he embraced my individual swing and adopted Arnold Palmer’s “swing your swing” motto. As my game evolved, my relationship with my father on the course began to evolve as well. He realized I had a talent for golf, and wanted to push me to excel. Every day he would remind me to practice, and every day I would tell him that I had. When I reached my teenage years, I became increasingly more independent and wanted less hands-on involvement with my game. For my dad, this was difficult. He wanted to guide me and help me realize my potential, but his encouragement felt like smothering. Being the parent without falling into the trap of being the coach is a challenge many parents struggle to navigate. If you care about your child staying passionate about the game you will have to monitor yourself and make sure you’re not overbearing, and learn to realize when it’s time to bring someone else into coach your child. If your child already has a coach and you still sometimes catch yourself pushing too hard, ask yourself, “When someone nags or pushes me to do something, does it make me feel annoyed and irritated and less likely to perform that task?” The answer is likely yes, and you’ll likely perform said task begrudgingly. It’s no different when trying to keep your kid passionate about golf. So how can you maintain a balance? 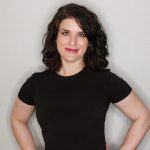 Jacqui Nicoletti McSorley, author of Golf Guide For Parents And Players: Secrets Of Success For Junior And College Golf, The Pro Tour And Beyond, has played the role of a mediator often between the child and parent. McSorley, who is Class A LPGA instructor and an instructor at the Golf Academy of America, has taught countless juniors over the years, many of who have received golf scholarships to play in college. “One of the biggest mistakes I see parents make is that they push them too hard. There was a parent I dealt with who would make his son do push-ups if he hit a bad shot. He was like a drill sergeant with the kid, and it sucked away any joy from his son playing golf,” McSorley said. Parents also need to be willing to be coached, “Often times I am coaching the parents more-so than I am coaching their child. But they have to be willing to learn, and see where their shortcomings are and how they can be a better support system for the children.” This means relinquishing control to instructors like McSorley, and trusting the process rather than dictating every step of their child’s future in golf. In my case, my father eventually stepped back and put his ego to the side. He allowed me to make my own decisions regarding the future of my game, and only stepped in when he felt so strongly that he couldn’t stay silent. I know it wasn’t easy for my dad. He believed in me more than anyone, and his main goal was always to make sure that I reached my potential. His willingness though to allow me to carve my own path and to focus on encouraging me rather than pushing me, led me to keep playing a game that I loved. It also allowed me to involve him in my game when I wanted him to be more involved. He caddied for me in several junior tournaments, and when I went to qualifying school for the LPGA, he carried my sticks and provided emotional support on the golf course. Joyfully, on my third attempt to qualify for the LPGA, I earned my card with him on my bag. It was a moment I will never forget, and one I know he cherishes as well. So, to all the parents out there who coach their kids, focus on what makes it fun for you to be with each other on the course. As a result, the game can be something that brings you and your child closer together – their success will just be the icing on the cake. Anya Alvarez is former LPGA golfer, turned sportswriter and producer for outlets such as ESPN and CBS Sports. In an effort to grow the game, Anya hopes to shine a light on how the golf industry can attract more women to the game. 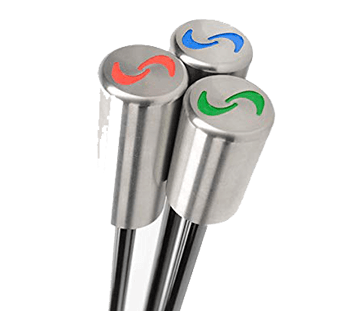 What Exactly Makes a Women’s Golf Club a Woman’s Golf Club? Last Sunday my group consisted of me (55) My dad (78) my son (18 today) and my daughter (21) The three men had a 20.00 all day bet Grandpa beat us both and my daughter was there to hit the ball, listen to music and take pictures, Golf is a great family sport you should never push them, let them move at their own pace. I was caddying for a student this past weekend. He’s six, and the only Golfer in his family. Third tournament this year. He’s so happy when he’s on a course. He birdied the first, made a solid par on 2, and after hitting his tee shot on 3, a late 20’s, white pants pink shirt full sleeves tattoos Caddy of a girl in an older age division, probably about 6’2 and lean, probably played at least on some HS level, this Man, he says to me, my player, and my players Father (pure spectator) “YOU CANT STAND BEHIND HIM AND LINE HIM UP! YOU KNOW YOU’RE CHEATING AND I’M GOING TO BE SURE PENALTIES ARE ADDED FOR EVERY SHOT YOU DO IT ON”. It shook up my player to say the least. He took a 10 on that hole. I met the rules official at #5 tee and I am grateful for that young man- he knew the rule. The revision. The intent, the application. All was well. My player didn’t win, and he was in the zone until that happened. His Dad talked to him about adversity in between holes. He hit the spot on #9 off the tee (188yd par5) and then hit his rocket launcher three wood to 15’. Two putt birdie. Yesterday we had an hour on the course and he had nearly no memory of the incident, or maybe he was just too focused on running from shot to shot, racing against the sun to play as many holes and hit as many shots as he could. I have spent approximately 200 hours with him in just under one year. The only advice I can give is: no two are the same. And if you want to plan on something, plan on being exhausted. In a good way. I love to let my kids go out back or to the range and swing. Aside from showing them which hand should go on top and maybe spreading their feet apart a little bit, I just let them go. I want them to like or love it first, then comes the desire to get better. But for now, I just encourage what they are doing. This writer isn’t what I would call a “successful golfer”, I would like to hear the perspective of someone who’s parents pushed them to an actual career at the top of the sport. @funkaholic That is a D-bag statement. The article is not about the success, it is about finding ways to not push kids away from sports/activities that they initially show a lot of interest in. Tiger Woods – who had to go through physical hell to grow up and realise two things. 2. That the earth and all the planets revolve round the sun, not him. He is an amazing golfer, maybe the best ever, and still able to thrill. I doubt that less pushing would have made him win less but it might have helped him balance his life a bit. The same applies in all sport, read John McEnroe and Andre Agassi’s auto biographies for some perspective. There are many successful people who don’t have meltdowns and were pushed very hard, those people don’t write books complaining about their daddy issues. Eric and Peter are insecure. My parents didn’t know anything about golf, but they could see that I loved it and pushed me to give it my all as a kid. I wish I could have played with Dad on the bag like Anya, but now golf is something for him and I to just enjoy together. I got my daughter interested in golf by letting her ride in the golf cart on vacations. When she got to the point where she wanted to play I said no not until you take lessons. She signed up with a female instructor at 12 and took lessons thru high school while she was on the team. She now beats me every time we play. I believe parents now a days are aware of the harm of pushing kids into sports. When I was playing as a teenage (back in the late 70s) father “attempted with little avail” to teach me some “fundamentals” at the same time I was attending golf camp for two summers. He gave me advice which absolutely contradicted the lessons at camp. I had to put my foot down and yelled at him to stop; but of course it came at a price— shamming language (i.e., “you won’t listen to me” “I told you I was right…”). It took him 20 years to figure out that his behavior he was wrong . I say leave the advice to the class A teaching professional—that’s what they’re paid for!!! As a parent, your job is to feed, clothe, educate, socialize and house your kid. Aside from that, you INSPIRE them to give everything in life a try, to learn what activities they enjoy, and more importantly, what great achievements they may pursue. Ultimately, the goal is to get them to Feed, Clothe, house, socialize and entertain themselves. Beyond that, if you’ve done a really great good job, your kid may go on to accomplish some great thing in the field or interest of their choosing. Golf? To me, Golf is just one of the many forms of entertainment that you will expose them to. Sure, a handful of people may achieve “greatness” in Golf, but there are few of these people. And I might argue that one’s life efforts are better placed elsewhere. Perhaps Jack Nickaus’s efforts would have been better utilized in mediciane or education or science. What is path in life is more valuable? The one that results in the individual collecting green jackets and crystal trophies or the path of the Nobel laureate or the path of some great writer or educator. I hope for the latter for my kid. Although, I also hope we can enjoy a round of golf together on the weekends. Let’s remember that Mr. Nicklaus has used his gift to raise a lot of money for the medical field to learn, research and help others better. So in that respect he has helped many. Also, many people think you have to choose either education or sports which is simply not the case. Many have done both, and there is room for both. As a High School golf coach I see it quite a bit, parents push their kids that don’t really love the game because they have this absurd notion that there are all these golf scholarships that nobody is using. Hate to tell you, its not easy to get a kid recruited unless you have a ton of money to spend and send them to a bunch of AJGA events. When you tell the parent that, they change the thought process quick. Even small colleges don’t have tons of money to throw around for girls teams, often kids get 25% so the coach can have 8 players on some form of scholarship. Mens is even worse, more like 10 percent to 3 or 4 kids. I always want my kids to play other sports until they make the decision that golf is for them, usually around junior year they start to drift from basketball and put more focus on golf. You can get a kid into college without going through the AJGA if you’re in the right state playing against top competition. A good school maybe, especially if the kid is an uber talent but you are not getting full rides to any of the top schools unless you play outside of high school, ask any big ncaa golf coach as I have and they will tell you they don’t care about your high school tournaments, they care what you do in the summer in the big tournaments. look at the top 500 kids, I would bet 70% played in either AJGA or some other form of junior competition in the summer that got them where they are. Tim, Have to disagree a little with the whole AJGA thing. My daughter never left the Oklahoma to play a junior events. She played HS and SCPGA events during the summer. She went to a highly regarded academic DII university. Between academic and athletic scholarships she was on a full ride and graduated from a university that we could have never afforded as parents without golf. I have two boys 17 and 22. I made the mistake of saying baseball and golf don’t mix. I wish I would have let them play more at an earlier age. But I wouldn’t because I thought it would “mess up” the baseball swing. Now they are both are at the beginning their physical prime and just starting to learn the game of golf. Don’t be me…both sports can co-exist. Being an old F…, who has been playing for 74 years, “just a game” is the best advice possible for 98% of the kids. When I was 10 and playing with my grandfather, I lost my temper and threw a club. I have taken the same approach with my children and their children and it has led to a lot of fun on courses all over the world. RP, you’ll remember Bobby Locke. His father saw him throw a club when he was about 9, hauled him off the course and locked the clubs away for a month. He learned his lesson and no-one ever saw any emotion from him, win or lose, after that.